Ever since I became a mother, I have been more keen on using natural products. 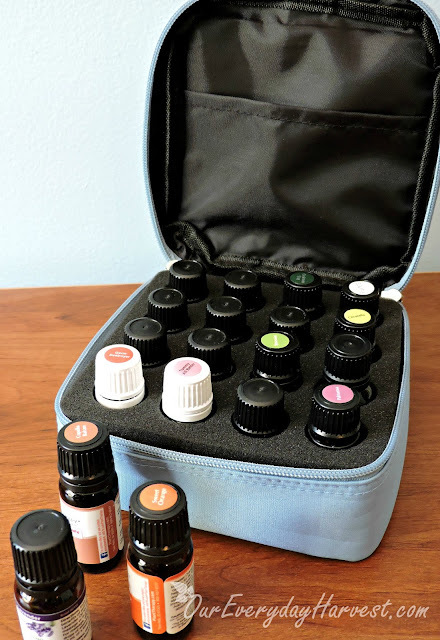 Before that, I've always relied on natural means of cleaning such as using vinegar or baking soda, but it wasn't until my son was born that I became an avid user of essentials oils. From enhancing physical well-being to simply freshening up the air, essential oils have become a significant part of my regular routine. They're so versatile–I can use them to create gentle household products, various toiletries (including my homemade hair detangler, which I will have to share one day), and I absolutely love diffusing them throughout the house. The more I learn about essential oils and their benefits, the more and more I find myself acquiring new ones to try. Of course, as my oil collection grows I need a place to put them. It is very important to store them properly in order to preserve their life and quality. I do have a wooden case that I have been using to keep them stored safely. 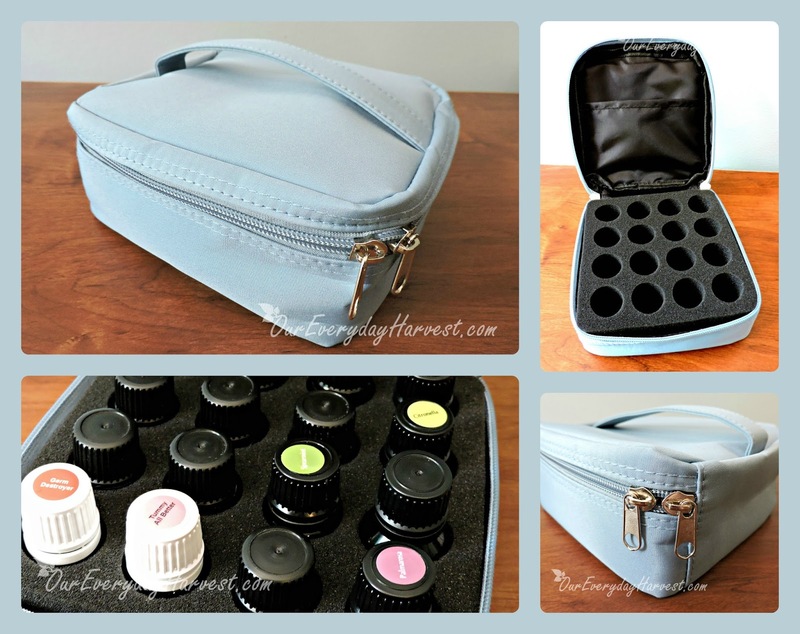 It's a nice case, but there are times when I would like to have the option of taking certain oils on the go. With summer here, varieties like citronella and lavender are great to have around to deter mosquitoes. Tea tree oil also makes for a great antiseptic on cuts and scrapes (AKA boo-boos). 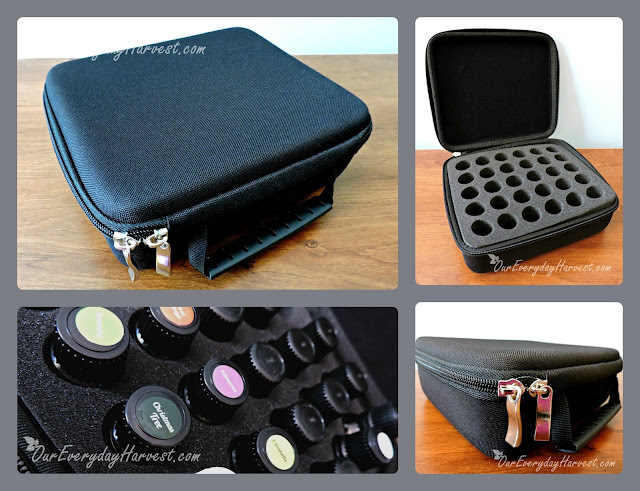 I'm also happy to have had the privilege of getting a firsthand experience with the Soothing Terra line of essential oil cases. 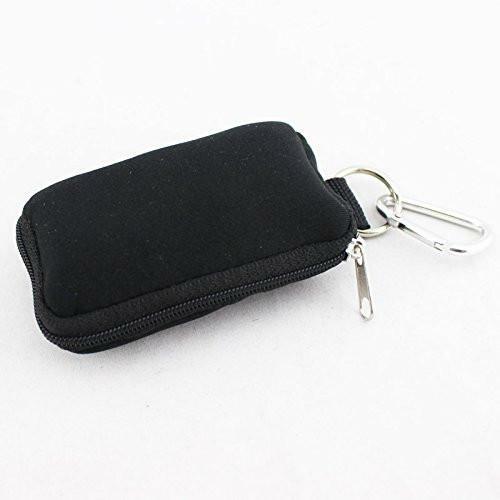 The first case that I received was this Hard Shell Carrying Case in black. This is the mother of all cases. It is both shockproof and waterproof, and has the capability of holding up to thirty 5 ml or 10 ml bottles. Now you may be wondering how it can actually hold two different sizes. You see, the inside includes a special foam insert that flexes to accommodate both size vials. The foam also doubles as a cushion to protect the bottles from breaking while in transit. No travel case can be complete without a way to carry it around. This one includes a handle that's both durable and flexible. The dual zipper allows for quick and easy opening and closing. If you have an extensive collection of oils, then this is the case to get. It's large enough for proper at home storage, at the same time it has all the conveniences (durability, carrying handle, etc.) of a travel case when you want to just grab and go. The second product that I received is the Soft Carrying Case, which is actually my favorite of the two. I decided to go with light blue, since it is my favorite color and look at how pretty it is! If blue is not your thing, then you'll be happy to know that this case also comes in five additional colors, black, tan, pink, purple, and dark purple. What I like about this particular case is that is has a soft shell, which makes it great for fitting into tight spots like a crowed suitcase or even the glove compartment. As compact as it is, this case can still hold up to sixteen 5 ml, 10 ml, and 15 ml vials. The outer soft shell gives it the option of being to able to go all the way up to that 15 ml size, but don't let it fool you, the material is thick and extremely durable. I also like that it's easy to wipe down and clean if need be. 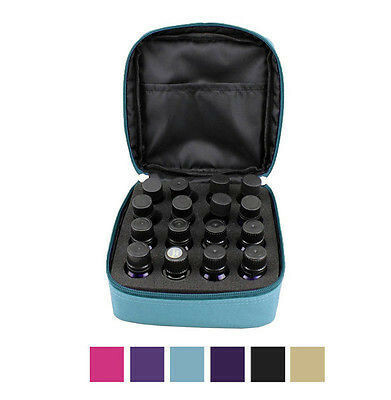 Like the hard shell case, above, this also comes with a dual zipper for easy opening and closing, as well as a foam insert that individually holds each oil, keeping it safely in place while transporting. One of the features that stood out for me when compared to other cases is that this one has a handle on the top. I personally like the idea of oils standing upright as opposed to being on their side, because you never know when a bottle is going to leak. 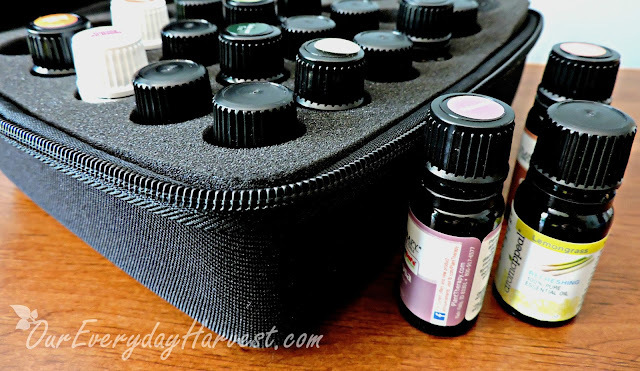 Let's face it, some essential oils can be pricey and the last thing I want is for them to spill all over the place. Having the handle on the top really does help ease my mind. I also like that the inside cover has an extra pocket. Perhaps you have a few oil cheat sheets, this little pocket allows you to stow those away with your collection. 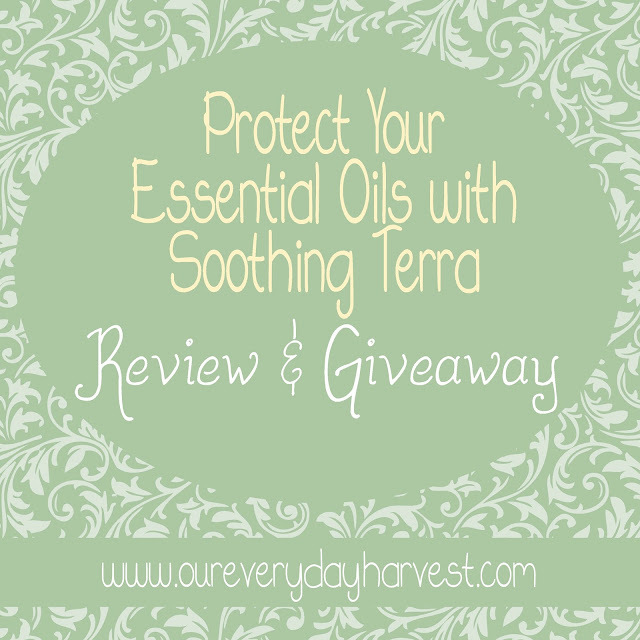 Thanks to Soothing Terra I'm now able to take my essential oils wherever I want. I love having the option of portability, because you never know when you're going to need them. Plus the company has a 100% no questions asked money-back guarantee. If you need a case for your essential oils, I highly recommend checking out their entire line of products. Right now you can even save 10% off your next order by using promo code SAVE10NOW. 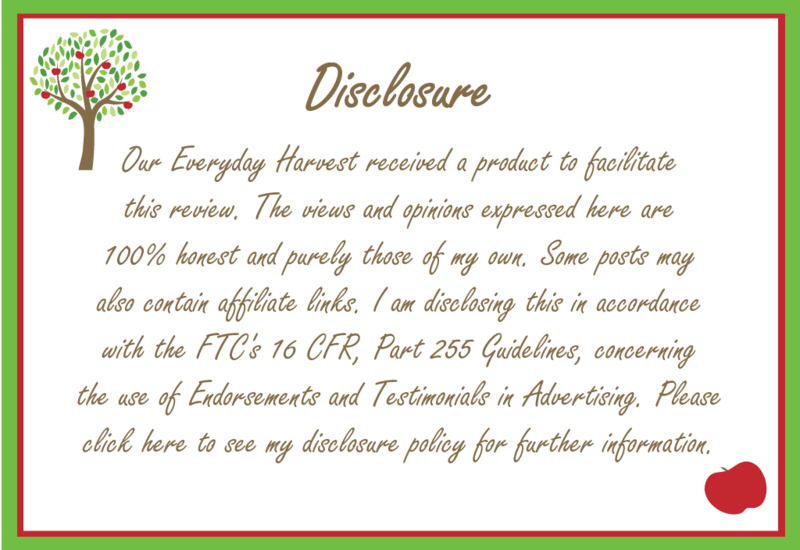 Soothing Terra has also been gracious enough to extend a little treat for Our Everyday Harvest readers! I'm very pleased to announce that one winner will receive a Soft Carrying Case (just like the one, above) in the color of their choice. Choose from black, tan, pink, purple, dark purple, or light blue.